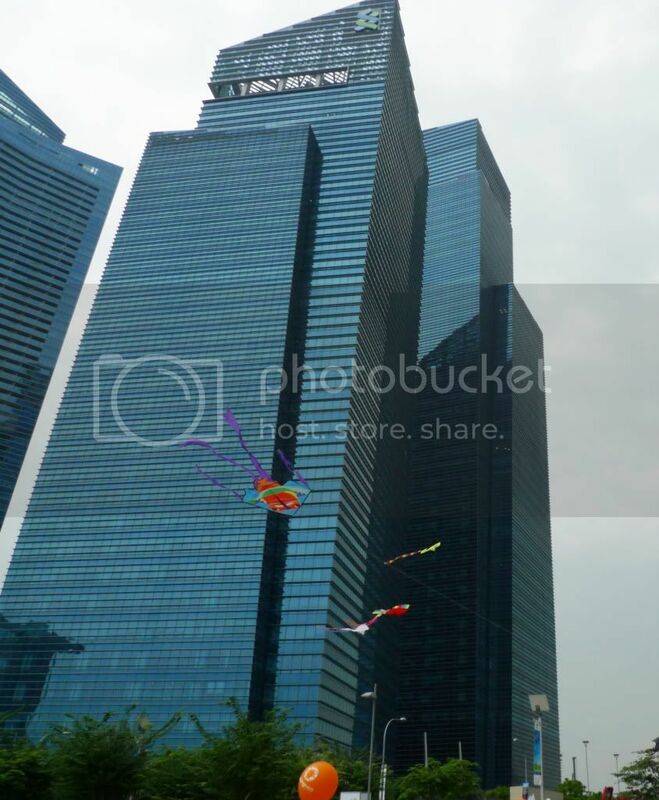 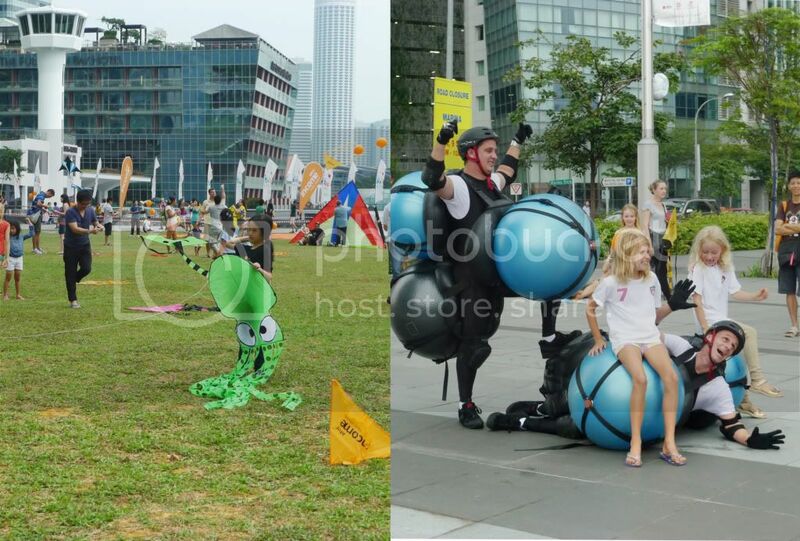 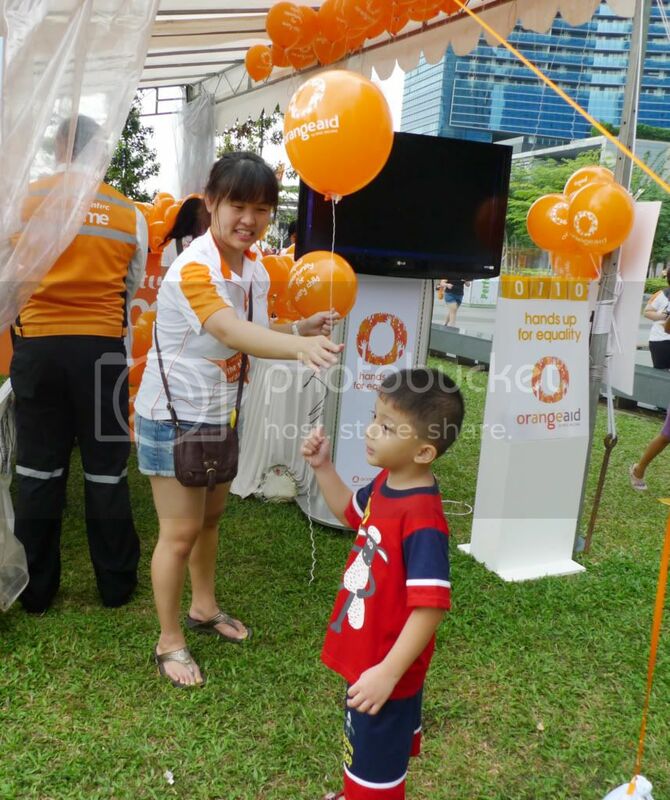 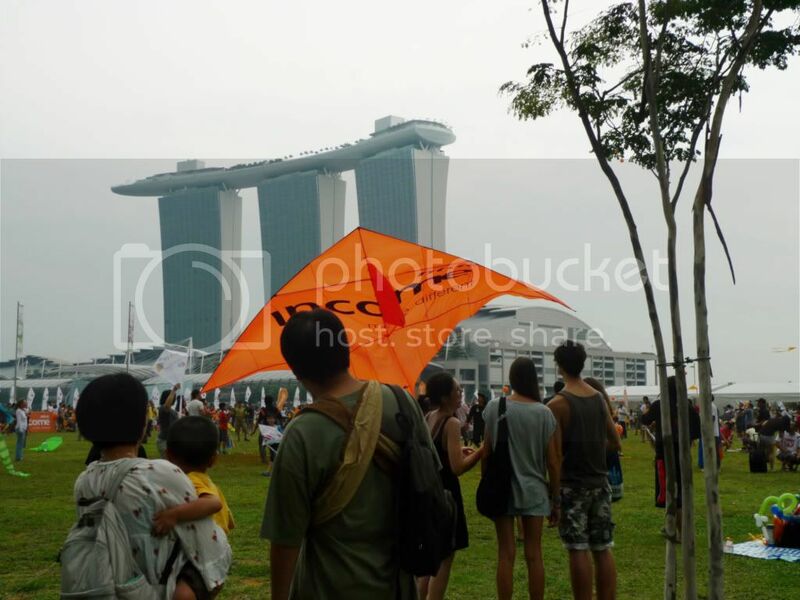 We went to NTUC Income annual Kite Festival at The Promontory at Marina Bay last month. 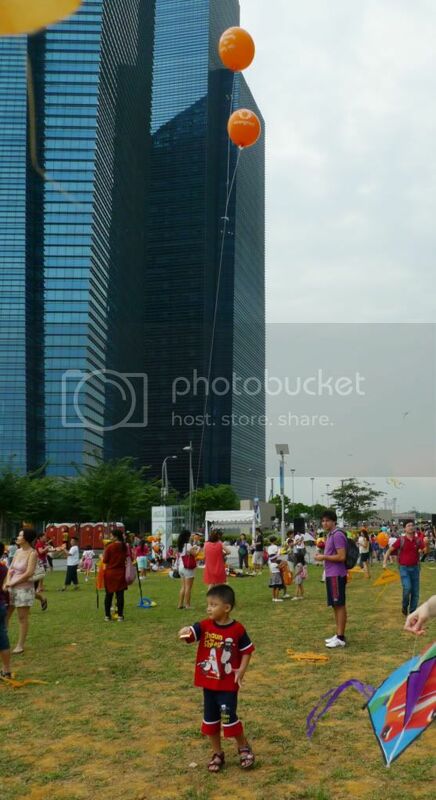 It was crowded, too crowded as a matter of fact. 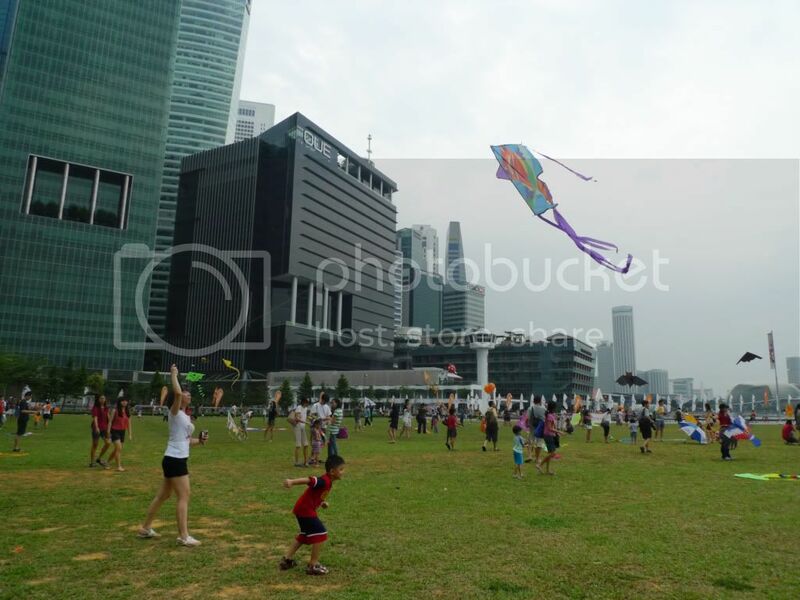 See The Promontory is kind of not big of a space enough for kite flying. 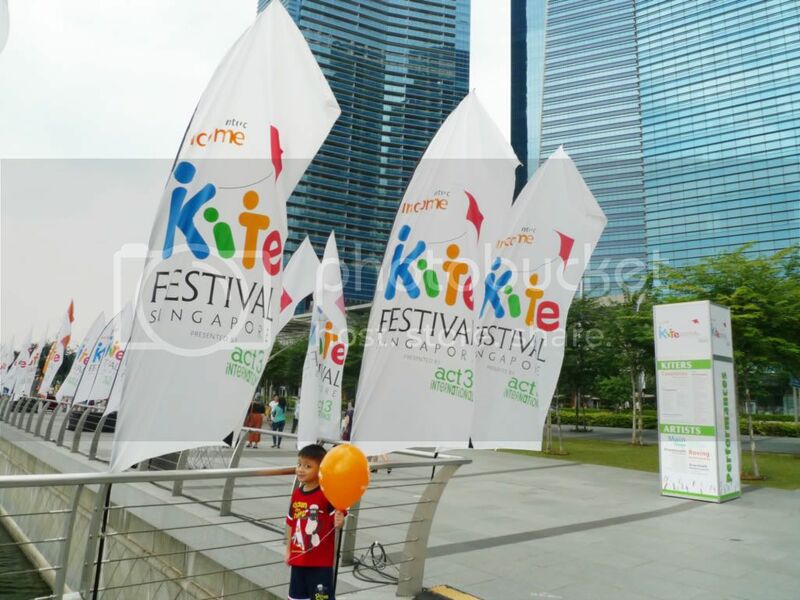 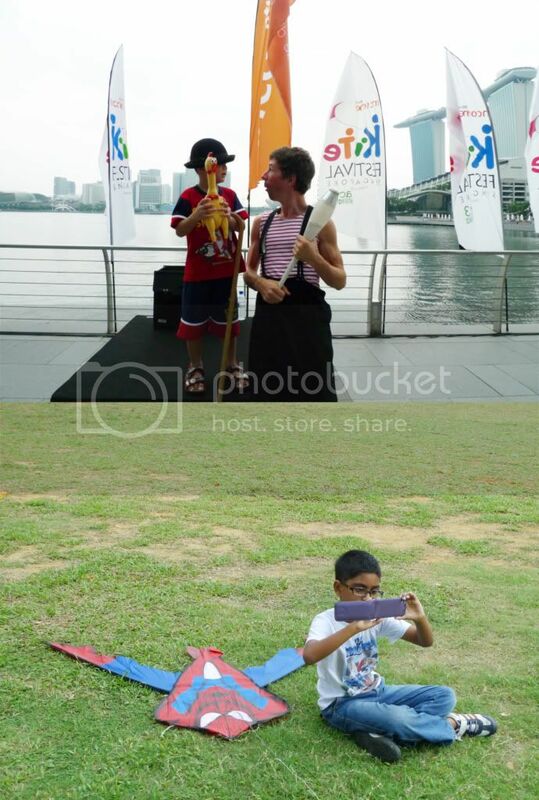 The last time we joined the Kite Festival was 3 years ago at West Coast Park, I blogged about it too, read it here, and the place was wide and big and enough for people to fly gigantic kites. 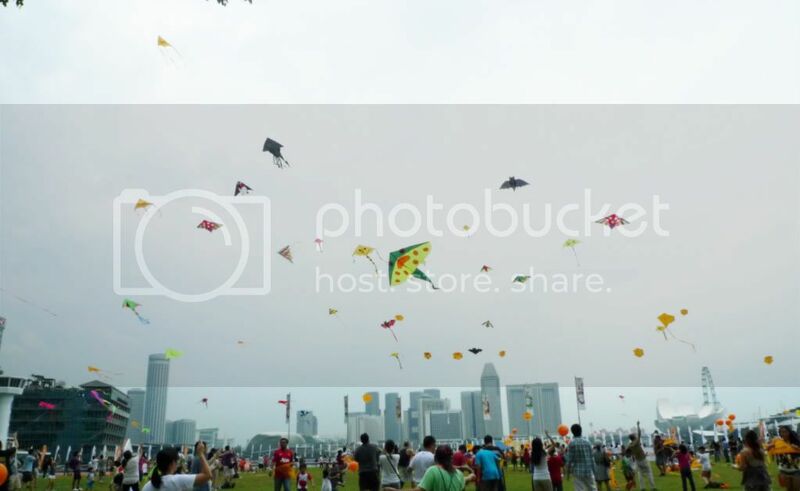 This year everyone's kites kind of bump easily to each others.. 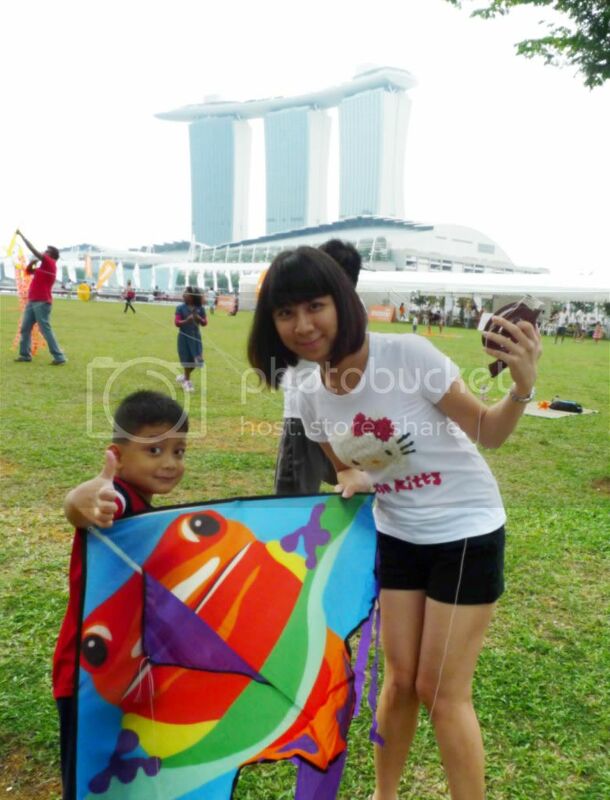 The sis helped Little Kent with his kite.. 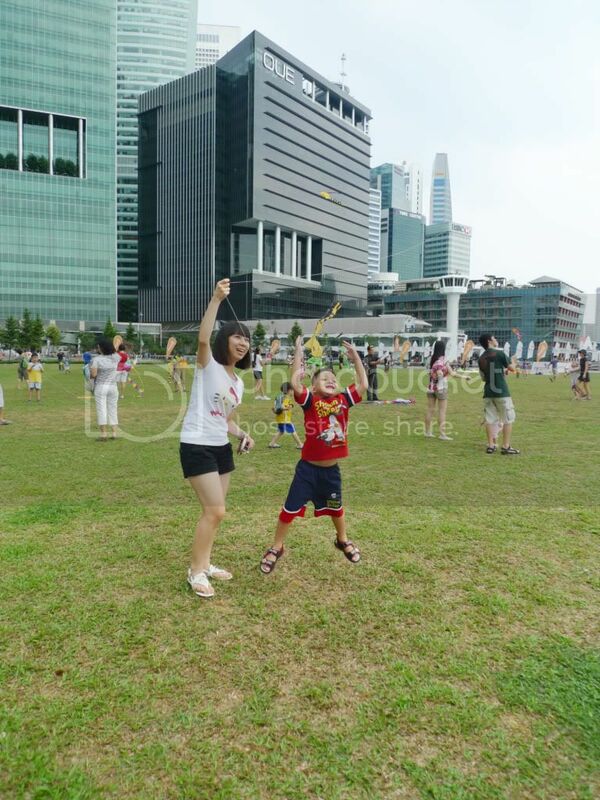 It was not windy enough for our kite to fly!! 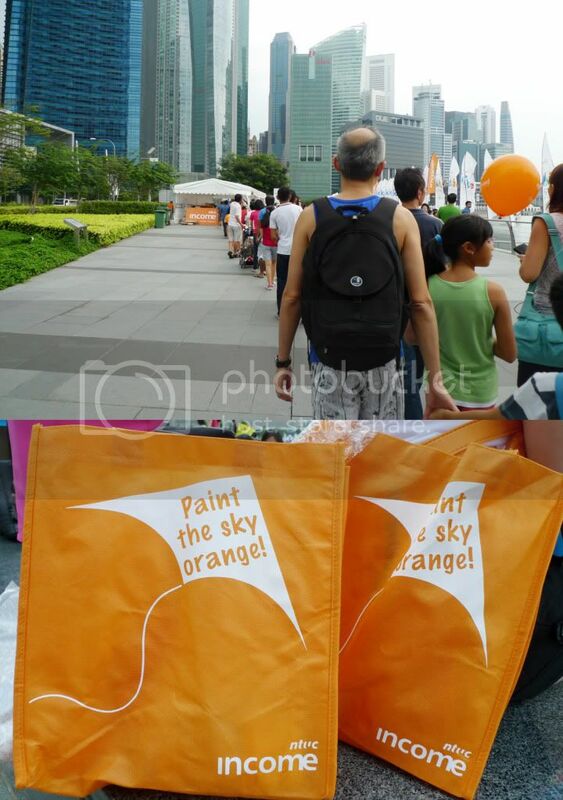 We followed the queue for free goodie bags!! 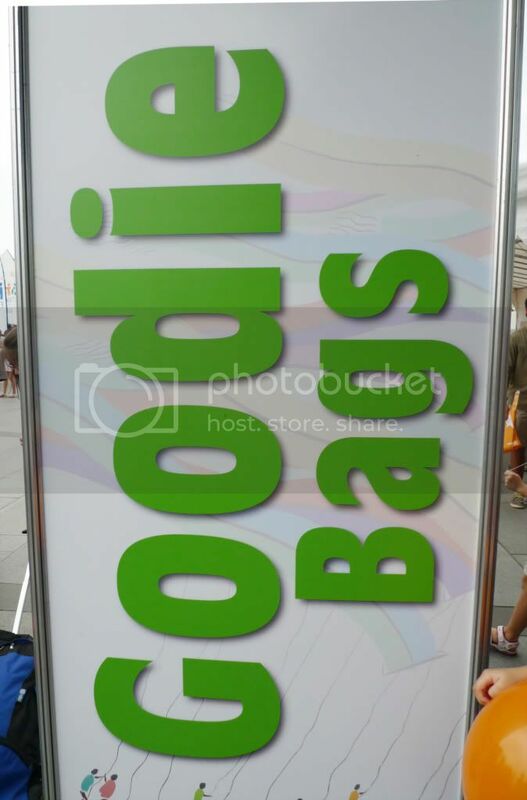 The items from free goodie bags were not as exciting as 3 years ago though.. 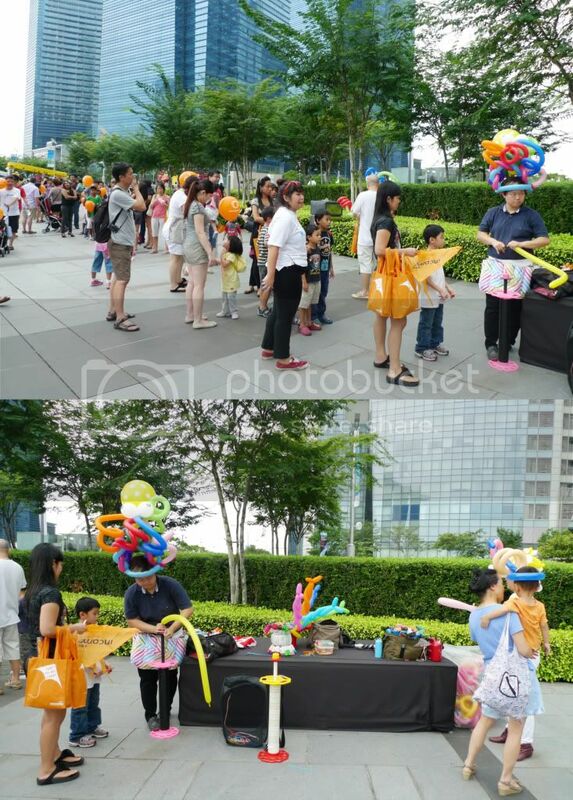 The queue for free sculpture balloon was sooooooo longggg..
stories of my life. 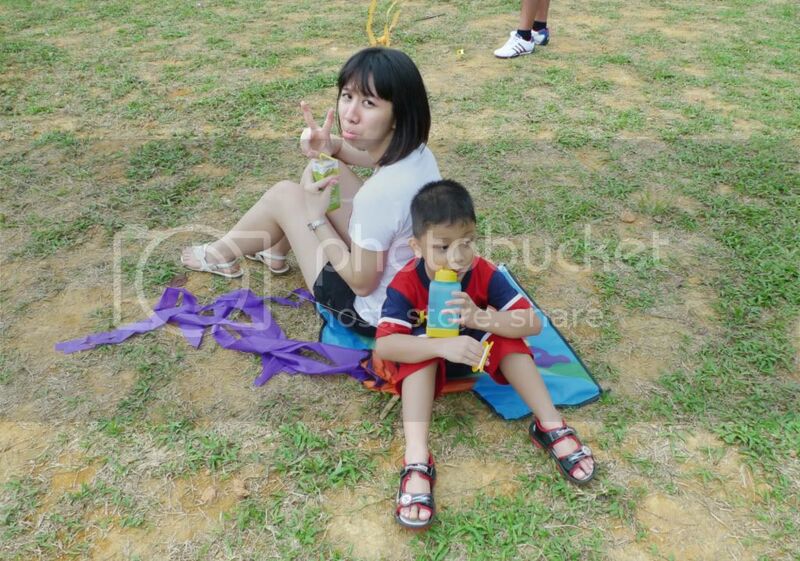 food that I ate. 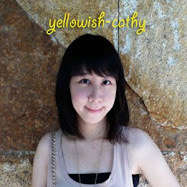 pictures that I took. 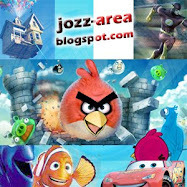 apa lu liat2x blog aku..